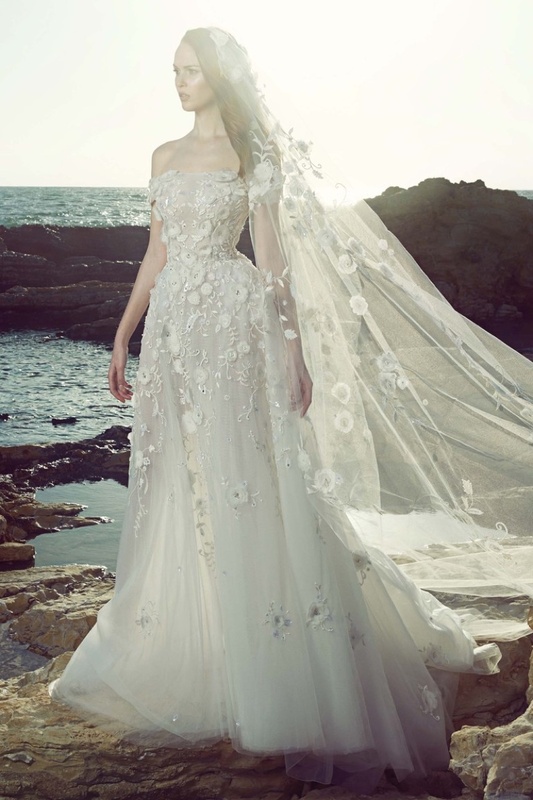 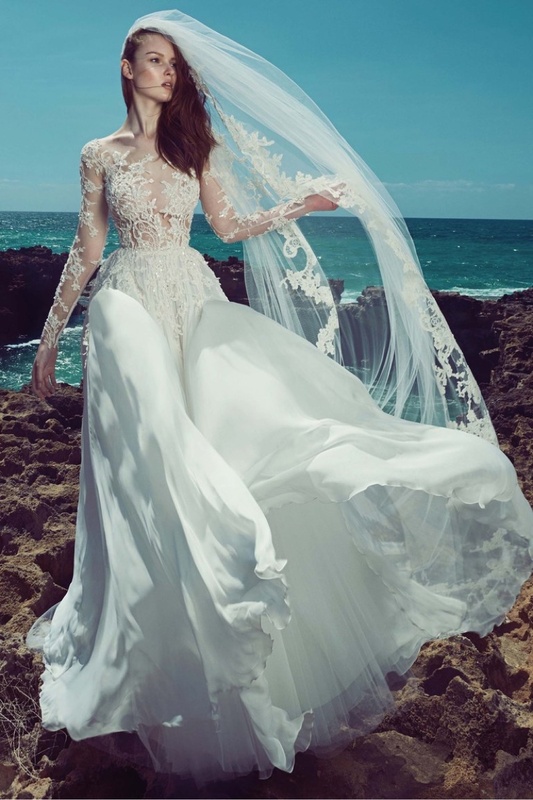 Lebanese fashion designer Zuhair Murad brings a dreamy new collection of bridal dresses for the Spring 2017 season. 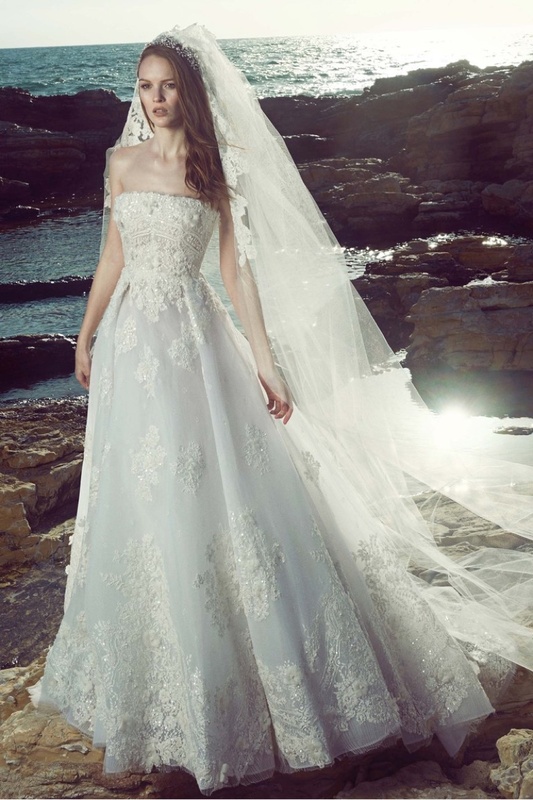 The designer, popular with Hollywood A-list celebrities, offers gown that are nothing short of dreamy, and focuses on an all white collection. 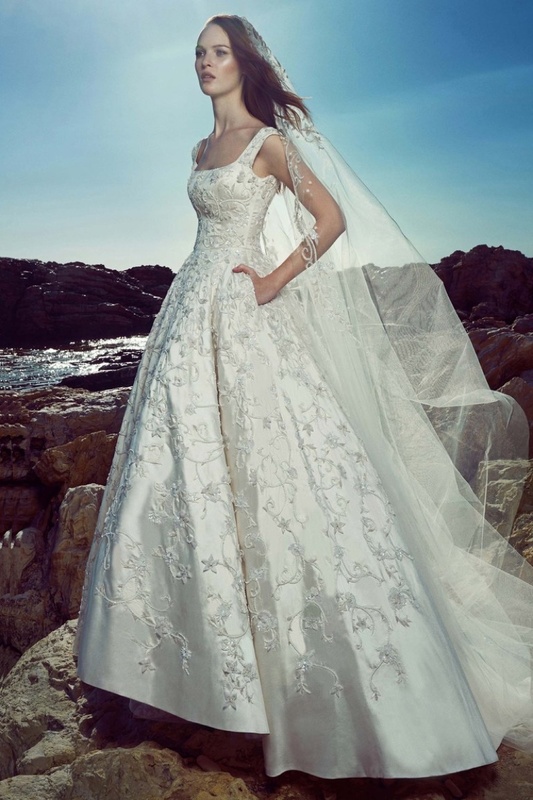 The beautiful wedding gowns include sheer lace details, delicate embroidery and sparkling accents as well. 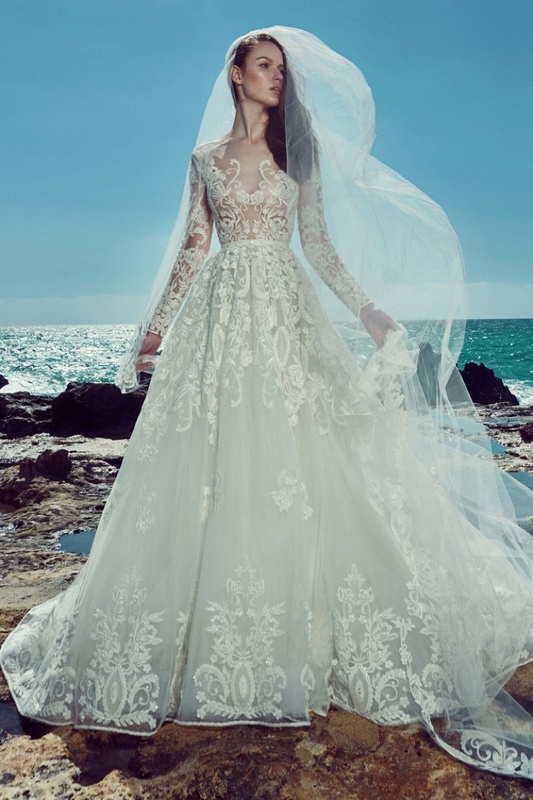 Zuhair Murad offers a variety of styles from ball gowns with voluminous skirts to empire waists, and sensual designs that show off a lot of skin through mesh fabrics.